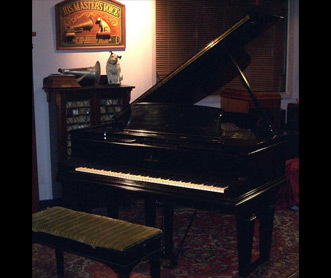 The "Duo-Art" reproducing system was made by the Aeolian Co. and was installed into Steinways and other fine pianos (Weber, Steck, Stroud) in both Grands and Uprights. The Duo-Art was one of the three most popular reproducing systems (others being Ampico and Welte) which reproduced an exact performance of the artist using complicated expression systems. 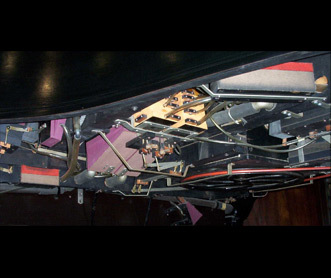 This was achieved by extra "coding" holes on the edges of the roll all worked regulators and valves to allow the vacuum to be varied for every note played. The reproducing rolls were recorded by the most famous Pianists of the day including Hoffman, Paderewski, Rachmaninoff, Grainger and many more!